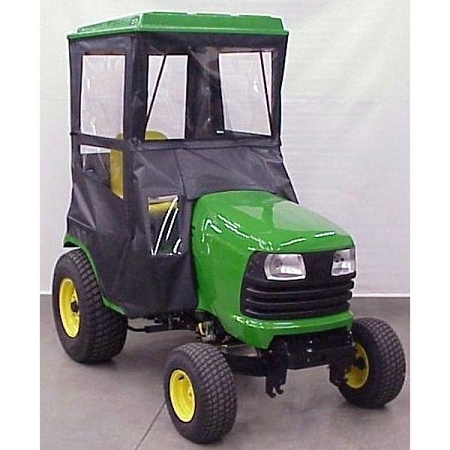 New hard top cab enclosure that will fit the X400, X500 & X700 heavy duty lawn and garden tractors. Installation time will take roughly three to four hours. There will be no holes to drill, the cab mounts use existing holes. 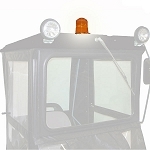 Fully enclosed cab with an ABS plastic hard top. Clear shatter resitant Lexan plastic is used in the rear curtain, side doors and the windshield for maximum visibility. 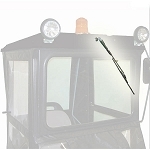 The Lexan windshield can easily be replaced with the optional safety glass windshield, which is available for purchase seperately. 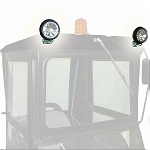 Forward inclination of the windshield minimizes glare and contact with falling snow and rain. Doors are hinged with latches so getting in and out of the cab is easy and quick. 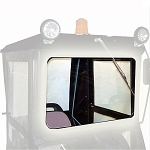 This cab enclosure will fit the following models.